Update: Bajaj has launched the new 2019 Dominar 400 at Rs 1.73.870 (ex-showroom, Delhi). At this price, the new Dominar costs around Rs 10,000 more than its previous iteration. Autologue Design will be manufacturing and supplying the accessories to Bajaj dealerships. Includes touring-enhancing parts like taller windscreen, saddle stays, bash plate and the like. These new accessories will be compatible with the older-gen Dominar 400 as well. 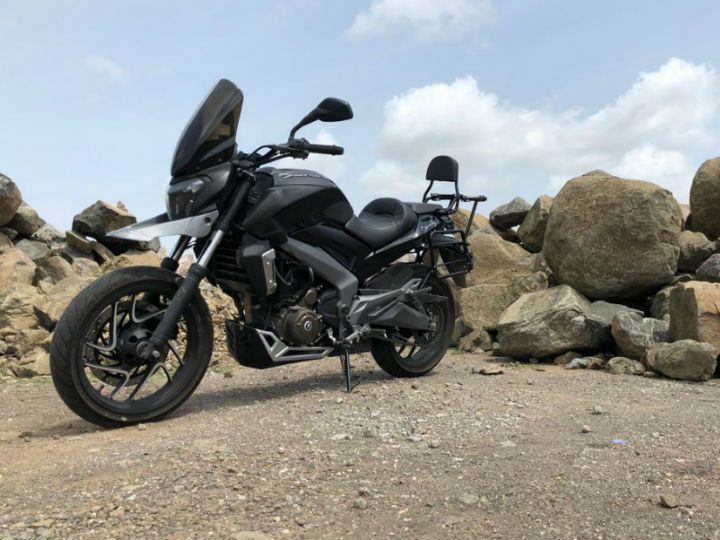 The Bajaj Dominar 400 has always been a potent highway tourer but one of the things that held riders from enjoying the full potential of the motorcycle was the lack of official accessories. Autologue Design has something delightful in store for you as the Pune-based custom house and accessory manufacturer has designed a few touring-biased accessories with the Dominar 400 UG in mind. These very same parts will be available at Bajaj dealerships across the country in a few months time. You can also spec out your old Dominar with the same accessories. Accessories include parts like taller windscreen for better protection from wind blast, saddle stays to hold your luggage, wear pads on side sets, tank pads and bash plate for added protection. More importantly, the parts will be compatible with not only the 2019 model but also the older-generation bike as well. Expect Autologue to offer a warranty on the parts as well. The parts will mostly be practicality-enhancing ones instead of performance ones, so they wouldn’t void the bike’s warranty. The 2019 Dominar comes with a 5-year warranty as standard - something not many manufacturers offer, especially in this segment. Powering the 2019 Bajaj Dominar 400 UG is a 373.2cc single-cylinder DOHC, liquid-cooled engine which churns out 40PS at 8650rpm and 35Nm at 7000rpm. Suspension bits include open cartridge inverted forks up front and a gas-charged monoshock at the rear. Stopping power is courtesy a 320mm disc with radial calipers up front and a 240mm disc at the rear, with dual-channel ABS as standard. We have ridden the new Dominar. Read the review here. That's good news ! I sourced accessories from local shop with quality not upto the mark. They should also sell good quality panniers compatible with Dominar ! That's good news ! I sourced accessories from local shop with quality not upto the mark. They should also sell good quality panniers compatible with Dominar !